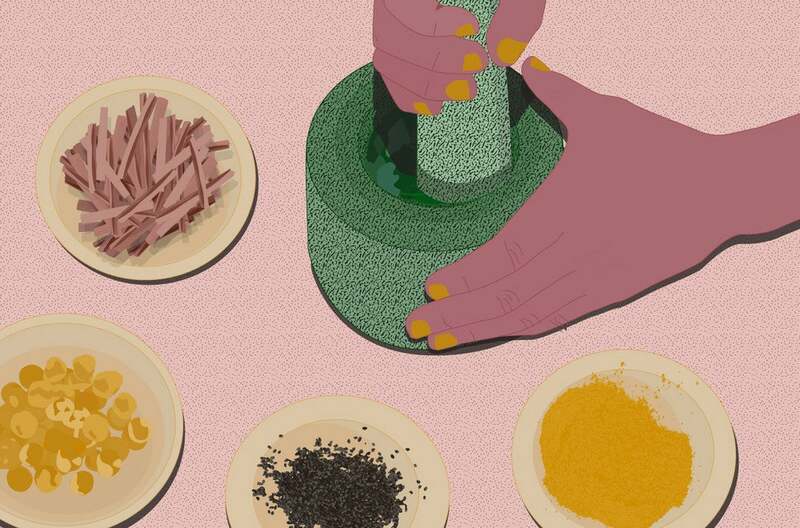 This ancient Indian medicine takes a personalized approach to wellness. If you’ve ever tried a wellness trend and wondered why the hell it just wasn’t working for you (float therapy, anyone? ), your Ayurvedic type might be the issue. An ancient Indian medicine, Ayurveda believes that “every body is different”—which means what works for your best friend isn’t necessarily going to benefit you. Essentially, Ayurveda believes in three different doshas, or energies, which make up each individual in different amounts—and the one that’s dominant in your system determines the way you should approach wellness. To figure out which type you are, Coburn recommends taking the quiz at Banyan Botanicals and creating an Ayurvedic profile—and then, read on for your personal wellness prescription, so you’ll never wonder “What is Ayurveda?” ever again. Your specific dosha unveils everything from the seasons that work well for you to what diet you should follow, and it’s way more intuitive than following a trendy wellness fad. Tall, slender, small bones, tendency toward cold hands and feet, and uncomfortable in cooler climates. They generally have dry scalps and hair. Vatas tend to therefore be quick-thinking, mobile, creative, and fast-moving when in balance, but when their constitution is off, they tend to experience anxiety, dry skin, and constipation. Athletic build and physically strong. Strong digestion and appetite, rarely miss a meal. Heat generally makes them very tired, and they sunburn easily. Pittas tend to have a fiery element to them, and are governed by moist qualities—which is why the humidity of summer gets to them. When in balance, pittas tend to be assertive, confident, intelligent, and strong leaders. However, when there’s an issue, they border on aggressive and impatient. Physical problems when pittas are off-balance include those generally signifying an excess of heat—such as acne, rashes, inflammation of the skin, heartburn, and insomnia. Kaphas tend to have a sturdier, heavier build, and go with the flow. They gain weight easily, and have slower speech, which signifies a more deliberate thought process. Because they’re ruled by earth, kaphas hate moist, muggy conditions—opposition, remember? Coburn explains, “They’re a little oilier, heavier, and not as mobile. They want to stay warm because they can easily become cold, since they don’t move as much.” Kaphas are therefore easygoing and peaceful, and tend to be loving, steady, and reliable to the loved ones in their lives. However, when off-balance, they can get possessive and lazy, with physical problems manifesting as colds, congestion, sinus headaches, and respiratory problems like asthma and allergies.